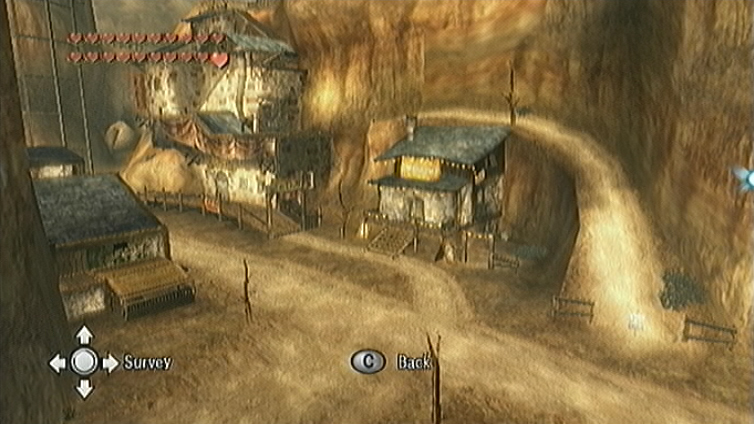 This guide will show you how to move Malo Mart from Kakariko Village to Castle Town, helping the Gorons to sell Hot Spring Water in Castle Town as well. By completing this sidequest, you will be able to purchase the Magic Armor, a unique piece of equipment which temporarily makes you invincible at the cost of Rupees. 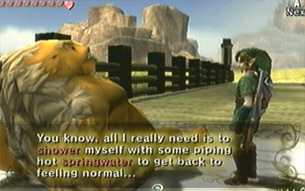 You can also check out this sidequest in our Twilight Princess Walkthrough. 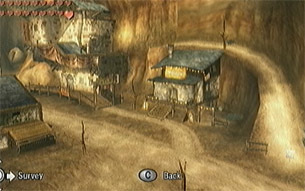 The Gorons wish to begin selling their Hot Spring Water in Castle Town, and savvy young Malo (who has taken over the General Store in Kakariko Village) would also like to open up a Malo Mart in Castle Town and bring an end to the oppressive prices of Chudley, the stuckup shop owner who gouges all of his customers' wallets. We could probably get a nice reward for helping out, hmm? In Kakariko Village, enter Malo Mart (it's only open during the day) and chat with Gor Ebizo. They're taking donations to repair the bridge leading from Castle Town to the portion of Hyrule Field just north of Kakariko. 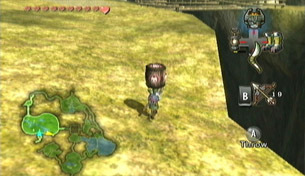 Otherwise, at this point, they'd have to bring their goods all the way over to the opposite side of Hyrule just to get it to Castle Town. 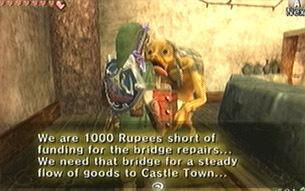 It costs 1,000 Rupees to repair the bridge. 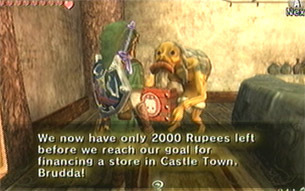 If you've been collecting Golden Bugs, now would be an excellent time to turn some of them in to Agitha in Castle Town in order to get Rupees. Return to Gor Ebizo and pay up. Pay up the first time. At this point, you can re-enter Malo Mart and speak with Gor Ebizo again. 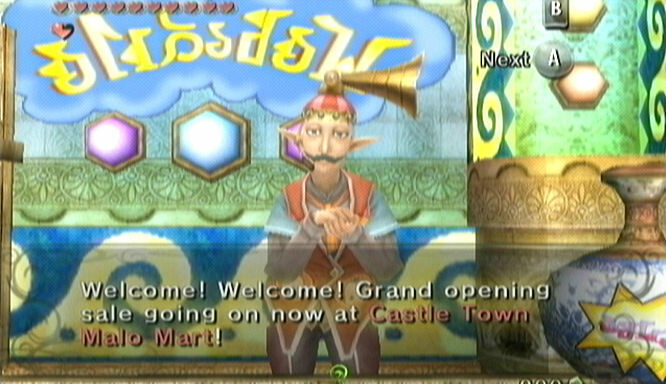 Next they are taking donations to move Malo Mart to Castle Town, but it's a hefty 2,000 Rupees. Yikes! Speak with Gor Liggs who is meditating outside and he'll mention a "young one" who is in Castle Town. 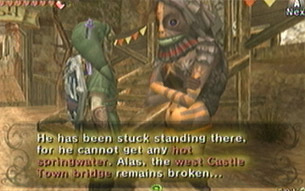 Apparently, his this Goron was supposed to come home when the bridge was restored, but he hasn't shown up. What could have happened? 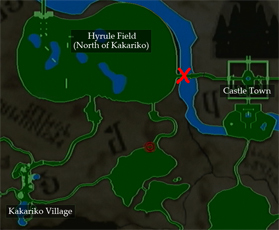 Go to the new bridge between Castle Town and the portion of Hyrule Field just north of Kakariko. You'll find a Goron here who looks worn out. If you speak with him, he'll say he's too tired to move and some Hot Spring Water would probably do the trick to get him back in action. 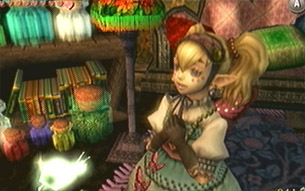 Return to Gor Liggs in Kakariko Village and report on your findings. He'll suggest you bring a barrel of Hot Spring Water to "the young one" if you are willing. Agree to begin this rather annoying challenge. 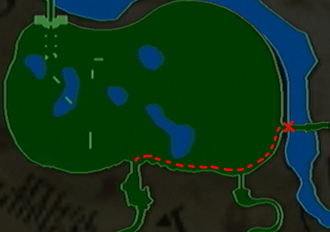 You'll appear just north of Kakariko and have to walk to the bridge. Unfortunately, this area is filled with enemies and if you drop or smash the barrel, you'll have to start all over again. Also, if you take too long, it will become plain Spring Water and you'll have to get more. 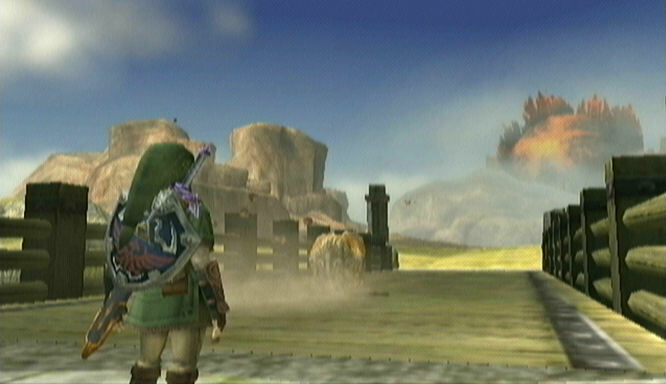 One trick I've found (Wii version) is to switch your currently selected item by pressing the D-pad. 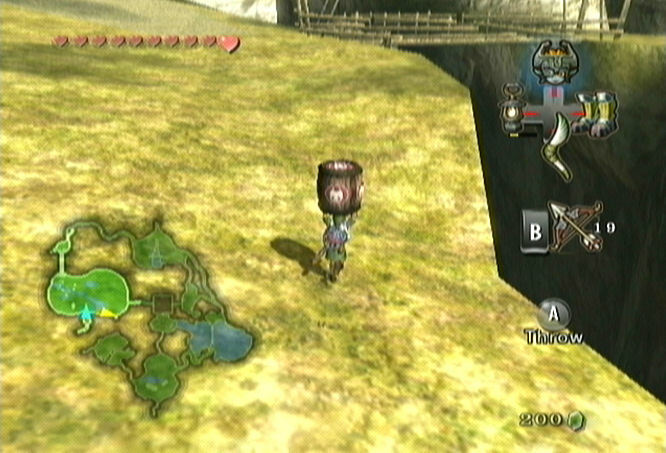 By switching your B-button item from the Hero's Bow to the Gale Boomerang for example, Link will drop the barrel without breaking it. In this way, you can quickly attack enemies without having to stop and set down the barrel slowly. The easiest way to complete this quest is to simply walk as far south as you can, staying along the edge. By doing so, no Leevers will appear and the Kargoroks will leave you alone. You'll only have one or two Bulblins to worry about, which shouldn't be too much of a problem. 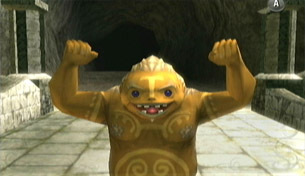 When you finally get to the Goron, he'll call out to you and ask you to pour it on him. Throw the barrel on top of him and he'll "be revitalized." 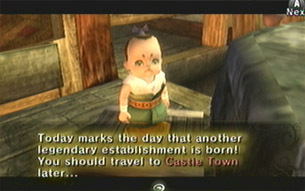 He'll roll off to Kakariko and bring back more Hot Spring Water to sell within Castle Town. Along the way, he'll also leave behind a Piece of Heart for you. Stay against the edge to avoid enemies! For helping out Gor Ligg's Goron friend, the amount required to move Malo Mart to Castle Town has been dramatically reduced to a measly 200 Rupees due to "economic developement." Now that I can handle! The Malo Mart in Castle Town sells different goods than the one in Kakariko, so be sure to check it out. Also, the owner, previously known as Chudley now goes by the name of Malver. His arrogant and rude attitude has been replaced with a cheerful and considerate counterpart, always looking out for the customer's best interest and giving them the best deals. Chudley's Shop has been bought out. A unique item that Chudley had for sale in his shop before was the Magic Armor, but it was far too expensive for us to purchase before. Now that Malo Mart has been moved, it has been reduced in price to 598 Rupees. Buy it! 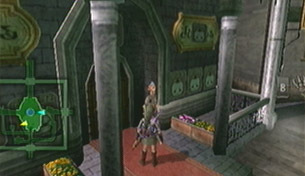 This thing will slowly drain your Rupees as you wear it and when you get damaged, it'll drain Rupees instead of hearts. It's not very practical to use until you get the Giant Wallet from Agitha (given her all the bugs) since it allows you to carry up to 1000 Rupees. The best place to use it, by far, is within the Cave of Ordeals. Buy the Magic Armor for a low 598 Rupees.